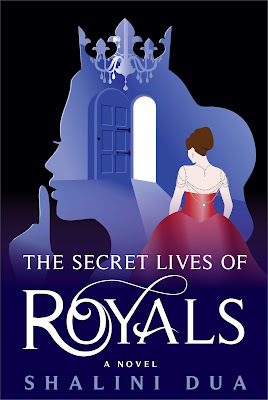 Goddess Fish Promotions has organized a Virtual Book Tour for THE SECRET LIVES OF ROYALS by Shalini Dua. The NA/YA Contemporary Fairy tale is available now. Shalini will be awarding a $50 Amazon or B/N GC to a randomly drawn winner via rafflecopter during the tour. Be sure to follow the tour and comment; the more you comment, the better your chances of winning. Click on the tour banner to see the other stops on the tour. A good friend of mine, Lauren Connor, is a very talented packaging designer. She created the cover for me. We’ve been friends since we were six so she knows me pretty well. Lauren read an early galley of the book, went away and came back with six concepts. I picked my favorite and she sent me different iterations that I fed back on. It was a very collaborative and fun process. I’m torn between Alex and Connor. I love them both for very different reasons. Alex is self-assured and charming on the outside but completely sweet underneath and always does something a bit unexpected. Connor covers up his kind heart with his serious hard-working nature. They both love Olivia and are each a very good friend to her despite all the romantic tension. This book is The Devil Wears Prada meets The Princess Diaries meets The Adjustment Bureau. Part fairytale, part conspiracy theory, this novel is a story for the contemporary millennial seeking their happily ever after. I am working on a follow up to this novel. I’m also working on an entirely different novel about a haunted circus. I’m working on a script for a tv series and I’m working on a poetry collection. Please review it on Amazon and Goodreads. Your next book about haunted circuses sounds intriguing. When will it be released? Hi, Hopefully next year around Halloween!